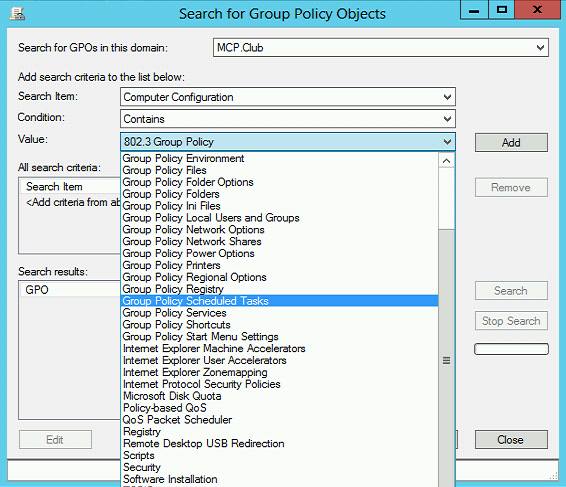 Well, some time ago I wrote about finding the exact setting in your group policy editor, which is, certainly, quite useful. 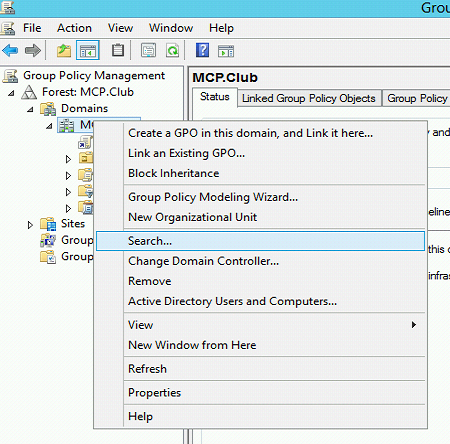 But this is vital when you try to create a new GPO or find a value in an exact existing one. But what if you want to look at the GPOs in your environment which contain settings from some area? From the age of Server 2003 there is an answer. Not the ideal one, but still, it is better than nothing. 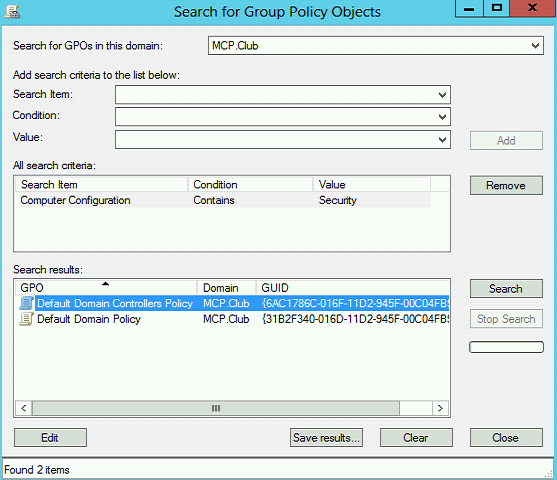 As you can see: there are two GPOs in the domain (those are default ones) which contain security settings. Wonderful! Or is it? Well, as I said, it is better than nothing, but not everything you’d like to see. What can be improved? 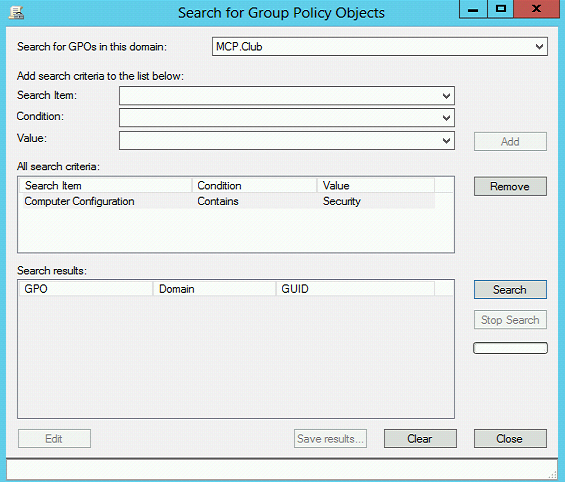 For example, I’d like to search for the GPOs under any OU, not only from the root of the domain. Next, it’d be great to have an ability to look for the name of a particular setting. Any ideas from you, my readers? This entry was posted in GPO on June 25, 2012 by Alexander Trofimov.